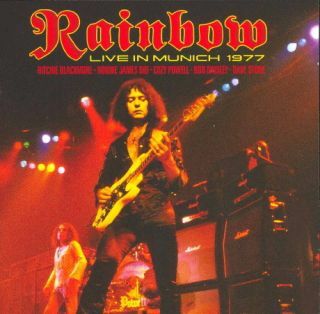 It was a time when rock gods walked the earth… While Rainbow's first three albums with Ronnie James Dio are essential, it's their live recordings that are talked of in hushed tones of reverence. The 1977 Munich CD and DVD (it was originally filmed for German TV show Rockpalast but surfaced on official release through Eagle Vision in 2006) is the peak slice of band, form, place and time colliding in perfect symmetry. The long workouts are here (the masterclass of Catch The Rainbow is over 17 minutes long) and they're mind-blowing. With Cozy Powell and Bob Daisley raising rhythmic thunder and Dio providing passion and power in every breath, Blackmore rages between. Maverick speed, heartfelt expression, aggressive tone, tender Bach recital - this is prime Blackmore, neo-classical pioneer and sensational loose cannon. After such a cosmic event it's almost fitting to see the man in black destroy a Strat, releasing the frustrations of his spell in an Austrian jail that had lasted until the night before (he hit a promoter). Dio went on to further glory, but some contrary career choices meant it was all downhill for Ritchie, creatively, after he parted ways with the legendary singer.